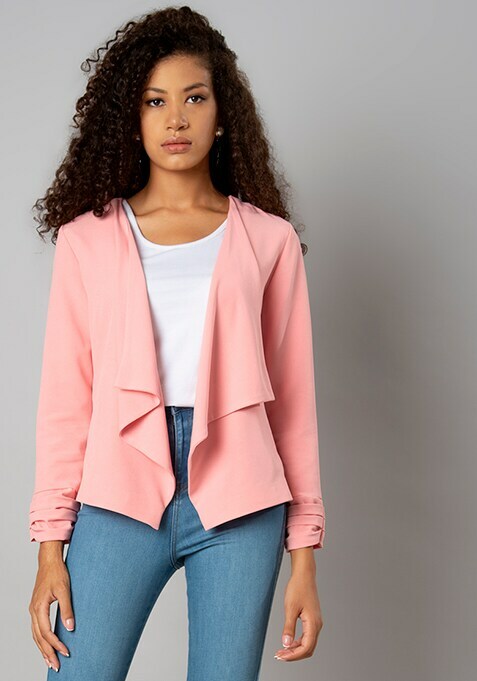 Look good and stay warm in this pink shrug. Features waterfall front and gather sleeves. Work It: Rock this shrug with a simple T-shirt, jeans and pointy heels.